This is not whisky yet. But it is organic, and it is matured in small ex-Bourbon casks, rebuilt from larger barrels, and sits at 25 PPM. Fresh wood, white fruits and peat in the smell. Simple as that! Sweet peat. A touch of grass and hay. The peat comes nicely through with the alcohol at first in the taste. Not too much, just perfect. 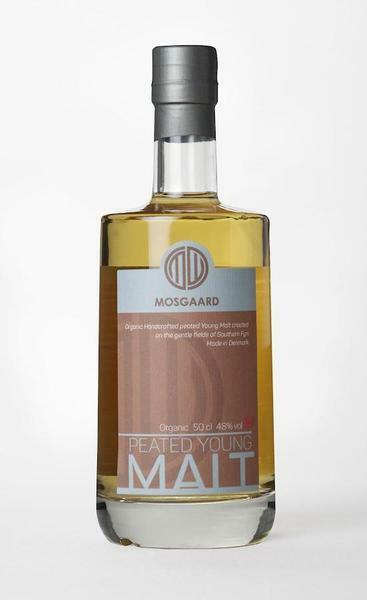 The peat is sweet and mixes with heather and hints of salt. The finish is warm and you really get the vanilla coming through. This reminds me so much of a young Islay malt. A mix of Caol Ila and young Lagavulin perhaps. The sweet peat and the coastal touch. I can only imagine how good this will be when it actually reaches the stage, where it can be called a whisky! I will give this 83/100 (21/20/21/21).